Dr. A Khan earned his PhD as a Fulbright/HEC/USAID Fellow in early 2016. He has an extensive research background in the humanities and social sciences. He was an undergraduate at the Institute of Business Administration (IBA) before transferring to the Lahore University of Management and Sciences (LUMS) in 2005. 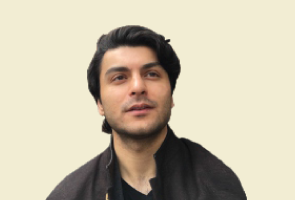 After completing his BSc (Honors) from LUMS, he spent a year working in news media and teaching undergraduates enrolled in the University of London International Programmes. In 2010, he was awarded the Fulbright MA and PhD scholarship and moved to New York. He went on to complete his doctorate from the State University of New York at Binghamton. For his dissertation and other supporting projects, he also worked at New York University (NYU) and The New School. As a Fulbright scholar, Dr. A Khan also studied French, German and Persian, as a significant portion of his work involved the study and interpretation of philosophical and poetic texts in their original languages. During the course of his PhD, he was invited to present papers at Purdue University, Istanbul Technical University and Queens College of the City University of New York among others. He was also short-listed for the Intellectual History program at John Hopkins. He designed and taught courses for the Philosophy, Interpretation and Culture program and the Comparative Literature department of the State University of New York. 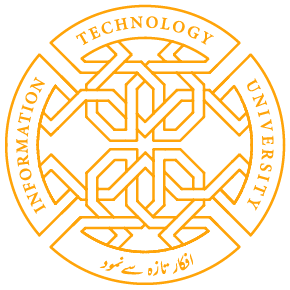 In early 2013, Dr. A Khan was asked to lead the concluding roundtable discussion of the conference titled “The Production of Knowledge and the Future of the University”. As an undergraduate at LUMS, he worked for nearly three years at the university’s Academic Writing Center. He also helped establish the LUMS women’s football team, and served as the head coach and manager of the squad for two years. In his senior year, he was also the Vice President of Sports at LUMS. For the humanities and social sciences programs at ITU, such as the MSc in Development Studies, Dr. A Khan will design and teach courses that focus on a) the history of intellectual thought, b) the analysis and interpretation of concepts in philosophical and poetic (literary) texts, and c) the re-valuation of concepts that relate to the existential, political, sociocultural and technological realities (and possibilities) of our world. So, the aim is to engage with concepts that are fundamental to the question of development and change, with a special focus on “philosophies” of creativity and relationality.